The 2018 high school football season is finally upon us. With week one games taking place all across the state, Estacada will start their season off by hosting Valley Catholic at 7 p.m. on Friday night. It will be one of only three home games that the Rangers will have this season, so players are really chomping at the bit to get out on the field in front of the hometown fans. 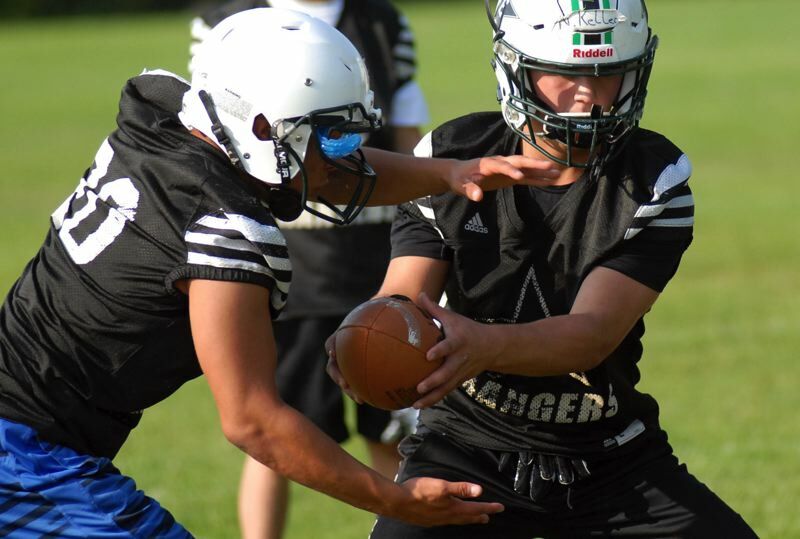 "We're really excited to get this season rolling," Estacada head coach Andy Mott said. "Our kids are excited to play in front of their home crowd, especially since we only don't get a lot of opportunities to play at home." Valley Catholic was only 2-6 last season and went winless in conference play. However, the Valiants return 27 of their 34 players from last year's roster — including starting quarterback Dan Pruitt. "We know that they have some really talented guys at the skill positions," Mott said. "Other than that, we don't know a ton, but we will be as prepared as possible." Look for expanded coverage in our Aug. 30, print edition.